Samsung Electronics has teamed with the Science Museum to launch Digital Lab, a research project exploring new ways to use the latest digital technologies to engage and inspire the museum's visitors. The Digital Lab will use emerging new technologies, including virtual reality (VR), 3D scanning and high definition rotational photography, to bring objects from the museum’s world-class collections to life like never before. Agency Cheil has worked with Samsung on the activation. The first Digital Lab project will focus on the Science Museum’s new mathematics gallery, of which Samsung is principal sponsor. Open to the general public from today (8 December), Mathematics: The Winton Gallery will explore how mathematicians, their tools and ideas have helped to shape the modern world over the last four hundred years, bringing the subject to life through artefacts, stories and design. Showcasing over 100 treasures from the Science Museum’s science, technology, engineering and mathematics collections, the new mathematics gallery will highlight the fundamental role of mathematics in all our lives. The Science Museum has worked with Samsung to digitise some of the most important artefacts in the gallery, making use of a number of innovative technologies to capture, and allow visitors to interact with, the objects, including 3D scanning, high definition rotational photography and component photography. Amongst the objects that will be brought to life with the help of 360-degree rotational photography are the Three Ring Enigma Machine and the William Thomson Tide Predicting Machine, while a 17th Century Islamic Planispheric Astrolabe will be brought into the 21st century with component photography. 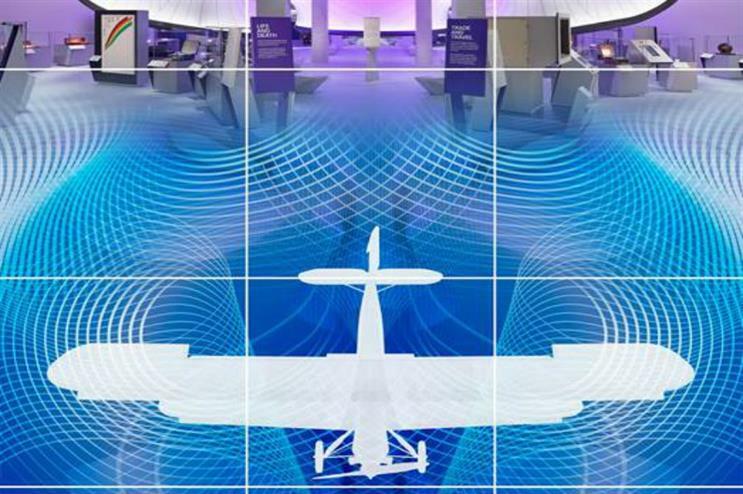 Taking inspiration from the experimental 1929 Handley Page aircraft which forms the iconic centrepiece of the mathematics gallery, an immersive prototype VR experience will also be created with the Samsung Gear VR, allowing visitors to reach new heights as the plane takes off and learn more about the mathematical principles inherent in the plane’s design. The Science Museum is also inviting groups to take part in a series of Digital Lab ‘hackdays’ to develop experimental interfaces such as maps, timelines and data visualisations, and create alternative ways for visitors (both at the museum and online) to navigate its rich collections. John Stack, digital director at the Science Museum, said: "The Digital Lab will build on the Science Museum’s long history of digital innovation and enable us to remain at the forefront of the use of new technologies within the cultural sector. Digital technologies and our audience’s use of digital continue to evolve rapidly. It is important that the Science Museum explores the potential of digital to engage audiences with the museum's collections and the important stories that they tell, and we are delighted to be working with Samsung to make the first of many Digital Lab projects possible." As founding sponsor of the Digital Lab research project, the work forms part of Samsung’s wider citizenship programme to help get people excited about technology and science. Russell Taylor, chief marketing officer at Samsung UK & Ireland, said: "At Samsung, we are committed to creating digital experiences that empowers people, enhances learning, and unlocks endless possibilities. We’re delighted to partner with the Science Museum on this unique project that demonstrates the power of technology, bringing people even closer to this fascinating subject." Cheil London has created Samsung UK’s first Instagram story, which is giving behind the scenes access to the gallery to the brand's followers. Today (8 December), Cheil is posting Samsung UK’s first organic Twitter moment, which will tell the story of the launch, using brand, museum and press tweets and UGC. The agency is also using Gear360 to shoot Samsung UK’s first 360 timelapse. This will showcase the Science Museum and Mathematics: The Winton Gallery from all angles, giving users an immersive 360-degree experience. To celebrate its Gear S3 smart watch product, Samsung is putting on a performance from a different world choir each day in the run up to Christmas. The brand also enlisted the band Years & Years to showcase its new Samsung Galaxy S7 tech via a virtual reality (VR) performance that took place in February.